Companies across the United States have increasingly looked toward workplace wellness programs to address employee health, productivity, and escalating health care costs. The 2010 Affordable Care Act encourages the adoption of workplace wellness programs by permitting firms to offer participation incentives worth up to 30 percent of the total cost of health insurance coverage. The workplace wellness industry has more than tripled since 2011, generating over $8 billion in revenue in 2016. Today, about one in three American workers are currently eligible to take part in workplace wellness programs (broadly defined as employer-offered programs to promote health or prevent disease). Despite rapid growth in this industry, the effects of these programs on employee health, well-being, and total medical expenditures remain unclear. 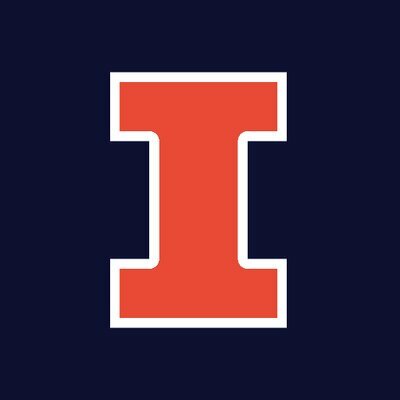 The study takes place at the University of Illinois at Urbana-Champaign. Partnering closely with the university, researchers designed and implemented a comprehensive workplace wellness program called “iThrive.” All benefits-eligible employees were invited to participate in the study. iThrive consisted of an on-site biometric screening, online health risk assessment, and a variety of wellness activities, such as smoking cessation programs and recreational athletic classes. Researchers conducted a randomized evaluation to test the impact of the iThrive workplace wellness program on a variety of health behavior and cost measures. Researchers invited 12,459 benefits-eligible university employees to participate; interested employees were required to complete a 15-minute online survey covering topics such as health status, health care utilization, job satisfaction, and productivity. Employees were offered a small financial reward to complete the survey. Of the 4,834 employees (38.8 percent) who completed this baseline survey, 3,300 employees were randomly assigned to one of six treatment groups, while the other 1,534 employees were assigned to a control group. Those in the treatment groups had access to all iThrive programming. The six different treatment groups were offered varying levels of financial incentives to participate in the program (from $50 to $350). Members of the control group did not have access to any iThrive programming and were only notified that they may be contacted for follow-up surveys. In the first part of the program, participants were invited to complete a biometric health screening and an online health risk assessment. Participants who completed these two steps were invited to enroll in fall and spring semester health and wellness activities, including in-person classes about chronic disease management and weight management; physical fitness classes; a tobacco cessation hotline; and an online, self-paced wellness challenge, among other programs. Although the study is ongoing, researchers have reported results from the 2016-2017 academic year. The iThrive workplace wellness program did not impact the majority of measured health or cost outcomes. The program had no measurable impact on employee health behaviors, productivity, self-reported health status, or total medical expenditures. Of the 39 outcomes researchers studied, they found only two significant effects of ¬program participation, both based on follow-up survey responses. Employees who were invited to participate in the workplace wellness program were 4 percentage points more likely to report that they had ever received a health screening, from a baseline mean of 94 percent (a 4.2 percent increase). Invited employees were also 5.7 percentage points more likely to believe that management prioritized their health and safety, from a baseline mean of 79 percent (a 7.2 percent increase). The researchers found evidence of positive selection: employees who participated in the workplace wellness program tended to be healthier already. These participants had lower health costs and higher rates of healthy activities at baseline. During the course of the study, program participants spent on average $131.20 less per month on medical expenses compared to non-participants ($1,574 less per year). However, given the experimental set up, the researchers are able to attribute all of this differential to selection in which types of employees participated and not a treatment effect. Workplace wellness programs, therefore, may not encourage participants to change their health behaviors, although they may be attractive to employees who are healthier and have lower health care costs. This suggests that employers could still save on health care costs through workplace wellness programs if they enable the company to attract or retain healthier, lower-cost employees. The study also indicated that financial incentives may have some impact on workplace wellness participation, but only up to a point. On average, more than half of participants in the treatment group (56 percent) completed the biometric health screening. A financial incentive of $100 (compared to $0) boosted participation from 47 percent to 59 percent (a twelve-percentage point increase). Doubling the reward to $200, however, only raised health screening completion rates by 4 percentage points (from 59 to 63 percent), indicating that there may be diminishing returns to incentivizing participation. The researchers caution that these findings are only from the first year following randomization; positive effects of many health behaviors may take longer to manifest. Jones, Damon, David Molitor, and Julian Reif. “What Do Workplace Wellness Programs Do? Evidence from the Illinois Workplace Wellness Study.” NBER Working Paper #24229, January 2018.